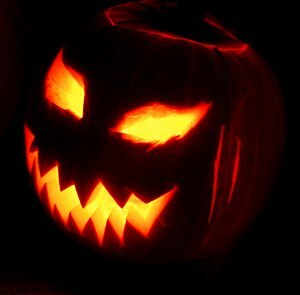 As a fibromyalgia scientist, I discovered how to enjoy Halloween again. My secret: I assembled a team of ghouls and put them to work helping me decorating, preparing, setting up and handing out candy. I first tried this method last year and enjoyed Halloween again after a four year absence of participating in the neighborhood celebration. I learned from last year's experience and tweaked and refined the process for this year. Today, in addition to getting everything ready and completing last minute preparations, I am scheduling in some rest time to bolster me through the evening. I will be tired tonight and I will need to schedule extra rest and recovery time next week, but being a part of life in my neighborhood and sharing the fun and festivities with my family and friends makes it worth it. I reap the benefits of being a fibromyalgia scientist and sometimes it is scary good. This is the goal of my efforts to learn to live my best life despite chronic illness. There is so much about having fibromyalgia that I admit I have no control over. Through the experience of living with fibromyalgia for the past five years, I know firsthand that there isn't a lot that medical professionals have to offer me in the way of treatment or cure for my illness. Five years of living with fibromyalgia taught me that the best approach to managing my fibromyalgia symptoms was learning how to become a fibromyalgia scientist. In many ways I feel better knowing that the answer to managing my symptoms is in my hands. It was difficult to be constantly disappointed when medical interventions fail to bring any relief. It was also hard on me physically to attend numerous medical appointments every week. The self-help approach of the fibromyalgia scientist allows me to problem solve at home, at my own pace, using online resources and the support of peers living with fibromyalgia like me. Incorporating the advice and guidance of my healthcare providers is still an important part of my over all fibromyalgia management. However, as a fibromyalgia scientist, I focus on reporting my successes in managing my symptoms when I go to my doctor appointments rather than just listing all my troublesome symptoms hoping that the doctor has something to offer me. As I mentioned in my post How to Become a Fibromyalgia Scientist, perhaps the idea of being a fibromyalgia scientist appeals to me so much because I found myself drawn to the study of science in high school and college. While in school, I became familiar with the scientific method of identifying a problem, creating a hypothesis about the cause of the problem and then setting out to discover if that hypothesis was correct. Today I use that same method to identify a symptom that needs better management, list possible factors contributing to the worsening of the symptom, brainstorm ideas for how to combat these factors and then implement these ideas one at a time to see if they make a difference. For example, let's take my symptom of chronic and persistent fatigue. 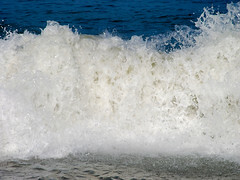 I began by observing when my fatigue worsened by logging my daily activities over a period of several weeks. It became clear from my logs that there was a limit to how much I could do in a day and anything over that limit worsened my fatigue 12 to 72 hours afterwards. Then came some brainstorming about strategies I could use that respected my limits and allowed me to accomplish tasks and enjoy some leisure time. Strategies like: breaking bigger tasks down into smaller pieces and completing them over several days, limiting myself to 15 minutes of activity followed by a break (my 15 Minute Rule), modifying activities so that they could be completed in an energy saving seated position and delegating or asking for help with tasks that were too difficult for me to complete on my own. With ideas written down in the list, I then began implementing them to see which ones worked and which ones did not. I was fortunate to be referred to the Chronic Pain and Fibromyalgia Program at the Cedars-Sinai Medical Center in 2006. Their program, consisting of instruction from professionals in the physical therapy, occupational therapy and psychology fields, got me started thinking like a fibromyalgia scientist. My first accomplishment as a fibromyalgia scientist consisted of creating a container vegetable garden, which took my love of gardening and transformed it into a fibro-friendly, seated activity. But it was in the monthly alumni group that followed this six week program that I heard about the CFIDS and Fibromyalgia Self Help online program that really helped me evolve into a full-fledged fibromyalgia scientist. I acknowledge that I will be a fibromyalgia scientist for as long as I have fibromyalgia. The nature of fibromyalgia is that it is unpredictable; new symptoms can emerge, existing symptoms can worsen and factors out of my control, like the weather and catching a cold, can affect my symptoms both in the short term and the long run. Viewing my symptoms as a puzzle to solve rather than an inconvenience to endure helps keep me focused on learning to cope with my fibromyalgia and living my best life despite it. For all these reasons, I embrace being a fibromyalgia scientist. TIP: Be proactive about your health care. Ask your rheumatologist or chronic pain specialist for information about and a referral to any chronic pain rehabilitation program in your city. If this resource is not available where you live, consider the online CFIDS and Fibromyalgia Self-Help program, which draws participants from around the world. Use these resources to learn how to become a fibromyalgia scientist too. Make a list of all your symptoms, for example: pain, fatigue, problems concentrating, headaches, etc. Next to each item, rate the severity of the symptom using a scale from 0 to 10, with 0 being no symptoms and 10 being symptoms so severe you are bedridden and unable to function. Now plan how you will eliminate aspartame from your diet. Carefully review all the foods you eat that contain aspartame, like diet sodas, Equal or Nutrasweet packets, sugar-free pudding mixes, sugar-free drink mixes, sugar-free ice cream and Popsicles, sugar-free gelatin mixes, sugar-free cookies, etc. Decide what you will substitute for these products. If your main source of aspartame is diet sodas, take into consideration how much caffeine you are ingesting per day. If you consume a lot of caffeine, you might experience caffeine withdrawal if you stop drinking caffeinated diet soda abruptly. Consider tapering your consumption over several weeks or substituting another caffeine containing beverage like coffee or black tea. For each day you stop or taper your aspartame usage, go back to your list of symptoms and rate each one. Be sure to add any new symptoms that emerge during your experiment. Also indicate on your logs any other significant changes to your medications, lifestyle or diet that might be affecting your symptoms. Ideally, you will conduct your experiment over the course of four to six weeks, assessing your symptoms daily. At the end of four to six weeks, review your logs. Do you see any improvement in your symptoms? Did any symptoms get worse? Did any new symptoms emerge? Consider sharing your logs with a friend or family member. Having two or more sets of eyes on the data you have collected might help you see changes or trends that you missed. At this point, if your experiment is inconclusive, you might consider adding the aspartame containing products back into your diet to conduct your experiment in reverse. Again, rate the severity of your symptoms every day your symptoms. After four to six weeks, look for improving or worsening symptoms, new symptoms and other trends. Now I have to admit that while I was a science major in college, it wasn't until I became involved with the online CFIDS and Fibromyalgia Self Help program that I was encourage by founder Bruce Campbell, PhD to apply these scientific techniques to my life with fibromyalgia. In the article Recovery from CFIDS: What Worked for Me he explains how he used the scientific approach to find his limits, figure out what worked for him and what didn't and track his slow recovery from chronic fatigue syndrome. The other great thing that Bruce provides is sample forms that can be accessed and used by anyone wanting to become their own CFIDS/FM scientist. For the aspartame experiment above, I would suggest using the My Target and Symptom Log forms. On the My Target form, Bruce advises that you set targets with an 8 or higher confidence rating to ensure that you set yourself up for success. If you can not set your confidence at 8, consider changing your target. Once you try it, you may find that this approach is helpful in a variety of situations, like when you start a new medication or make lifestyle changes. As you experiment and find what works for you, using logs to document changes in your symptoms can really help you determine if something helps or hinders you. I'd love to hear from you if you choose to undertake the aspartame experiment or if you devise your own experiment using this example as a template. Have you seen the email "Sweet Poison"? It has been making the rounds since 1998 according to the Snopes.com website. It has been sent to me twice recently with a new addition to the original text of the email. At the top of the revised email there now appears a supposed case history of a woman who drank aspartame (Nutrasweet, Equal) sweetened soft drinks and developed multiple sclerosis (MS) in 2001. Her symptoms included muscles spasms, the inability to walk and severe chronic pain. The author of the email recounts that she advised her sister to stop drinking diet soda and a good portion of her symptoms disappeared in 72 hours. The email then goes on to identify systemic lupus, MS and fibromyalgia as some of the illnesses caused by aspartame. Several European Union countries approved aspartame in the 1980s, with EU-wide approval in 1994. The European Commission Scientific Committee on Food reviewed subsequent safety studies and reaffirmed the approval in 2002. The European Food Safety Authority reported in 2006 that the previously established Adequate Daily Intake was appropriate, after reviewing yet another set of studies. It has also been investigated and approved by the Joint Expert Committee on Food Additives of the United Nations Food and Agricultural Organization and World Health Organization. On the other hand, there are plenty of Internet sites and web pages devoted to warning people about the dangers of aspartame and other artificial sweeteners. The websites appear genuine in their concern for people's health and safety and some are so well written and present convincing arguements; it's hard to know if their messages hold any truth. There are several campaigns around the world, including in the UK, trying to get aspartame banned, but so far none of these efforts have been successful. So as a person living with fibromyalgia and Type 2 diabetes, I had to stop and ask myself, "Could drinking diet beverages and using artificial sweeteners be contributing to my chronic pain and fatigue symptoms?" It is true that some people are highly sensitive to artificial sweeteners and can develop symptoms like headaches, dizziness, vomiting, diarrhea and fatigue. It may even be possible that some extremely sensitive people could develop an allergic reaction or maybe even severe symptoms. But for the overwhelming majority of us, aspartame and other artificial sweeteners has been proven to be safe to consume. being excessively and compulsively concerned about something. showing emotional affliction or disquiet. I would not go as far as to suggest that the following items are ones I wring my hands over or ones that drowned me in emotional turmoil. 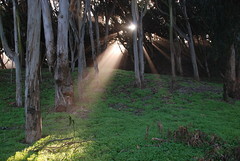 I do admit they are things I spent time thinking about with tinges of wonderment, worry, disquietude and consideration. As I review this list, I know there are things on it that I can do something about and be proactive. Others I just need to accept. Some I need to learn lessons from and resolve myself not to repeat these thoughts and actions. A few are just threads in the fabric of this mysterious and wonderful life, part of the human experience. I am haunted by my many illnesses. I am haunted by my lack of a normal functioning family, lovingly described as the "Family Curse" by my Aunt Sandy. I am haunted by "what if's?" I am haunted by the idea of past lives and reincarnation. I am haunted by my mistakes; not the little, everyday ones but the big, I'm-red-in-the-face, I-can't-believe-I-did-that ones. I am haunted by the illusion of time. It feels like we all have less then we want and yet we find ways to waste it more than we should! I am haunted the hopes, dreams and plans I had when I was younger that have gotten left out and left behind as I have gotten older. I am haunted by a critical inner voice. I am haunted by perfectionism. I am haunted by my choice to focus five years on taking care of my ill and dying parents instead of pursuing my desire to start a family of my own. I am haunted by the wreckage of the past, both my personal past and the collective human past. 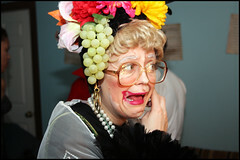 I am haunted by health concerns as I get older. For example: Will I get Alzheimer's Disease like my father or colon cancer like my mother? Will I have a heart attack or stroke like my grandparents? So what are some of the thing that haunt you? Leave me a comment and let me know. I want to support my husband's career. The hosts welcome us with open arms and prepare a delicious spread of appetizers that are really more like a meal. Despite all the difficulty preparing and getting there, I always enjoy myself. This year the theme was "Dressed to Kill" and I pulled the idea killer bees out of my hat. Well, maybe it wasn't so much my hat as my memories of the Saturday Night Live sketch with all the players of the cast dressed as bees. You can refresh your memory, as I just did, by clicking here. I added the touches of gangster hats with our antenna stick out and carrying gun, to distinguish us from regular honey bees. After all, aren't killer bees the mafia of the bee world? Just to clarify, we obtain a lot of information from in-person Hepatitis C and liver disease conferences that we attend and some of the research presented is still in progress and not yet at its completion. We do have lots of abstracts and articles at the HCV Advocate website, as you know, from very well established authorities in the field. Unfortunately, a lot of doctors are so busy they can't keep up with the research as we are able to do. I so appreciated this comment; I am also not surprised by its content. I wrote another recent post where I mentioned that medicine was both an art and a science and questioned what happened to the practice of the art of health care. Apparently, I needed to question the science side of health care as well. All health care professionals, including physicians, are mandated to complete continuing education courses. This requirement can be met by attending conferences. It is apparent that the HCV Advocate is paying close attention to the information being presented at these conferences and posting summaries of the latest findings on their website. It is also clear that the HCV Advocate is reading the articles being published in liver-related medical journals. I have to wonder why the hepatologists I have seen, some of whom I know attend these same conferences and read these same journals, aren't coming away with the same information. Today everyone is too busy to get to all the things on their plate; knowing that doctors aren't keeping up with medical research findings and their related implications for clinical practice really makes me nervous. Can I really be more educated about Hepatitis C than my doctors? I've mentioned several times in previous posts that part of living my best life despite chronic illness is discovering ways to make activities "fibro-friendly." (Tip: search "fibro-friendly" using the Lijit search tool in the right hand sidebar to find other fibro-friendly ideas.) Well I think I have found a new use for the perennial baby shower gift, the Boppy, and I think it is going to help make driving easier for me. Now let me tell you a bit of background information about the problem I am trying to solve. My biggest challenge with driving is being able to rest my arms while holding the wheel. If I can't rest my arms on something, I wind up aggravating the pain, numbness and tingling that travels up and down my arms, from my hands to my neck. I learned earlier this year, after spending 90 minutes in an MRI machine, that all these symptoms are being caused by something called thoracic outlet syndrome (TOS). What is thoracic outlet syndrome? Basically it is a condition where the nerves and blood vessels supplying the arm and hand are being pinched between the clavicle and the first rib. The picture above gives a good visual of the problem (courtesy of ADAM, Inc.) The chronic pinching makes the nerves and blood vessels inflamed, which perpetually fuels the pain cycle. There is no quick and non-invasive fix for the problem. The surgical fix, which I am actively avoiding, is very risky: damage to the nerves in this area can result in the decreased use of my hands. So back to the Boppy. My neurologist made a comment to me that people with TOS often hold the steering wheel down low (at the 6 o'clock position using the clock metaphor) to avoid aggravating their symptoms. I tried this but found this not to be the perfect solution. This got me thinking about ways I could support the weight of my arms while I was driving to reduce the stress on them, like using pillows to prop them on. With some extra support, I could hold the wheel a bit higher up, like at 4 and 8 instead of at 6. Somehow in my brain that lead to my thinking about the Boppy, even though I had never used one or even seen one for that matter. Fast forward to yesterday: I am running errands and find myself in Target. Wouldn't you know it, there in the baby section is the Boppy. I take it out of the package and put it around my waist and wow, it looks like it is going to work. I put in into the cart of the shopping scooter and head to the checkout line. When I get to the car, I buckle up and put the Boppy in place around my waist. It's a little too puffy in the front and the steering wheel rubs against it, but the arm support is fantastic. So when I got home, I perform some Boppy surgery (i.e. seam ripping and unstuffing) and I think I have succeeded in modified the Boppy so it won't rub up against the steering wheel as much. Now I am ready to test it again on my next outing in the car. I'm not sure if this is THE solution to my driving dilemma, but as long as it doesn't impair my ability to steer the car I am going to give it a try. Please note that my crazy idea might not be for you. So let me give you some referrals for vehicle modification resources for the disabled. If you need help modifying your vehicle so you can more easily drive it, try contacting a Certified Driver Rehabilitation Specialist through the The Association for Driver Rehabilitation Specialists website. There is also a wealth of information about what modifications are possible for motor vehicles at the Infinitec, Inc. website. You can also try Googling "vehicle modifications for the disabled." 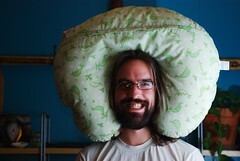 DISCLAIMER: The Boppy is not manufactured to be a driving aid. If you use the Boppy as a driving aid, you do so at your own risk and you assume all liability. 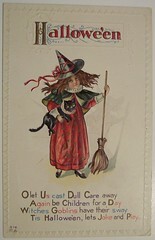 Aah, Halloween, the beginning of the holiday season. Halloween was always one of my favorite holidays pre-fibromyalgia. In the weeks before the big night, I spent lots of time focused on decorating the house, picking out a costume guaranteed to scare the trick-or-treaters and getting treat bags ready for the flocks of neighborhood children. After all, I lived in one of the few neighborhoods that still had lots of foot traffic on Halloween. It's the perfect neighborhood for trick-or-treating with houses close together and flat terrain. For the first three years post-fibromyalgia, I stopped doing Halloween. One neighbor came over to my house the next day and asked me if I was O.K. She was worried when she didn't see me participating and handing out Halloween candy. You see, my Halloween extravaganza stood out on the block and scared some kids so badly they wouldn't come to my door. My secret: the super creepy Halloween soundtrack I bought at (of all places) my local Hallmark store. For three years, I turned the porch light out and hid in the bedroom watching TV with my cats. Then I decided to start learning how to live my best life despite fibromyalgia. For the second year in a row, I am doing Halloween again, fibro-friendly style. That means I have a crew of ghouls helping me out, most notably my hubby, my best friend Cyndie and, in the inaugural year, my sister Romi. Decorating the house is a team effort, with time spent directing the action from a chair instead of doing everything myself. On the big night, it means splitting the scaring and candy dispensing duties with my team---so now I need two or three costumes instead of one. Then we all celebrate with a group clean-up and pizza party. In some respects, I can't believe I didn't make Halloween a group activity beforehand. It is much more fun to share it with my friends! I am also learning how to delegate and let other people be in the lead sometimes, which is hard for me and my "If you want it done right, you've got to do it yourself." outlook. But this is all a part of making activities fibro-friendly and doable. I can do it all myself and wind up with lights out hiding in the bedroom or share it with my ghouls and feel like I am part of the action and part of the neighborhood celebration once again. Apparently I set a good example. Since I brought my Halloween display back, this year we have a record eight houses decorated already ... plus one in the adjacent block. I believe that is a neighborhood record. And thanks to all my ghouls who make this possible! Love you! 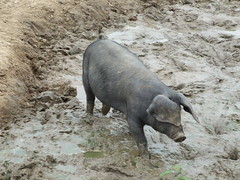 Living with chronic pain is like being a pig wallowing in the mud. The longer I’m in the mud, the more the mud covers me. The more the mud covers me, the more I start to feel like the mud is a part of me. And then I start to believe the mud is where I am supposed to be. The longer I am covered in mud, the more distant the memories of life without the mud. The longer I stay, the deeper I sink. Now the mud and I are one. Last week I went to see my chiropractor and I left with an assignment to think about my health. Apparently she worries about me and has taken my current state of accepting that things are just the way they are as a sign that I have given up on getting better. I hope that I adequately responded so that she understood that I have not given up. I hope she understands that I have reached a stalemate in trying to "fix" my health problems and have redirected my focus on trying to live my best life despite them instead. My health is very complicated, which is probably a HUGE understatement. There are aspects of my current health problems that began 21 years ago. Just thinking about that makes me realize that the proverbial horse is probably several states away by now, if not dead. (Horses live between 20 and 35 years according to WikiAnswers.) Translation: the time to close the barn doors has long since past. In fact, at this point, the original barn may not even be standing anymore. This was my generous answer to my chiropractor: "We just haven't figured out yet how to tackle my morass of health problems." Mind you, I have doubts as to whether her alternative treatments can really make an impact on the health mess that is me. At least I see the care and concern she has for me. That's one of the reasons I keep coming back to see her. In contrast, some of my Western medicine doctors barely acknowledge what ails me. Getting them to discuss in a meaningful way the possible causes of my health problems just isn't a reality. They are just beginning to research things like how the cancer treatment I received damaged my body and how Hepatitis C infection progresses and effects more than just the liver. Most doctors think that if a researcher hasn't proven without a shadow of a doubt the cause and effect relationship between symptoms and a bodily dysfunction, your illness doesn't exist or is all in your head. What ever happened to medicine being an art and a science? "Every science touches art at some points every art has its scientific side; the worst man of science is he who is never an artist, and the worst artist is he who is never a man of science. In early times, medicine was an art, which took its place at the side of poetry and painting; today they try to make a science of it, placing it beside mathematics, astronomy, and physics." ~Armand Trousseau, Lectures on Clinical Medicine (vol 2), The New Sydenham Society, 1869. The truth is the science of medicine doesn't know everything. The reality is it will probably take some out-of-the-box thinking for some medical professional to figure out how to help me to get to a better place with my health. I believe it's going to be someone skilled at the art of healing and the science of medicine to help me realize my hope of getting better. 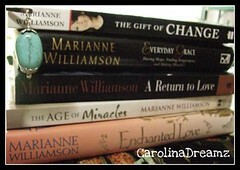 Explore Marianne Williamson books and more at Amazon.com! "Today is National Feral Cat Day," my friend Cyndie informed me yesterday, "Be sure to give Sir Hiss some extra tuna to celebrate!" Who is Sir Hiss? He is the kitten I have been "growing" in my backyard. It's been several months now that I have been feeding him on a daily basis in the hopes that he'll let me get close enough to touch him. Actually, I think I've been conned into feeding him by his mother. He is such a cute kitten and I think his mother has taught him to exploit this quality. He sits on the patio in my backyard and meows plaintively at me, while his mother watches on from the hedge, out of sight. I must be an easy mark because all that meowing makes me want to run into the house, grab cat food and bring it out to him. He lets me get pretty close but he won't let me touch him. The minute I turn around and walk away, mom jumps out of the bushes and joins him in the feast that I've provided. I want to trap Sir Hiss while he is still small and try to socialize him so he can be a house cat. However, since we already have two cats, I need to have him tested to make sure he does not have any diseases he could pass along to my own house cats. As for his mom, I am convinced she is a feral cat. I am willing to trap her, get her fixed at a feral cat clinic and return her to my backyard. If I am unable to bring Sir Hiss into my home, I'll try to find him a home or consider letting him live a feral life in my back yard as well. Alley Cat Allies will honor National Feral Cat Day (NFCD), October 16, to remind people that Trap‐Neuter‐Return and other humane programs for feral catsare in the best interest of the cats and the community. Feral cats are members of the domestic cat species, but they cannot be adopted into homes. They live outdoors in family groups called colonies. Trap‐Neuter‐Return is the best course of action for feral cats, because it ends the breeding cycle and stops behaviors associated with mating. National Feral Cat Day was launched in 2001 by Alley Cat Allies, the national advocate for feral and stray cats and a recognized authority on Trap‐Neuter‐Return—a program in which cats who live outdoors are humanely trapped and brought to a veterinarian to be evaluated, spayed or neutered and vaccinated. Cats that have undergone the procedure are eartipped—while under anesthesia, a small portion of the left ear is painlessly removed for identification. Friendly cats and kittens are put up for adoption. “We applaud persons and organizations for their work to educate their neighbors about the benefits of programs that rely on Trap‐Neuter‐Return and the use of humane deterrents to ensure that people and outdoor cats get along peacefully,” said Becky Robinson, president of Alley Cat Allies. Robinson noted that scientific evidence as well as decades of hands‐on experience show that Trap‐Neuter‐Return is more humane than programs that rely on catch and kill. It is also more effective, because it stops intact cats who evade capture from breeding and starting the cycle all over again, a phenomenon known as the vacuum effect. For more information about National Feral Cat Day, see www.alleycat.org/NFCD. First, let me just say that I am so grateful your website exists. It is my number one trusted resource for information about Hepatitis C (HCV). In my humble opinion, The HCV Advocate offers unbiased, up-to-date and comprehensive information that simply can not be found any where else; I know because I have been searching for years for information on HCV and find myself constantly coming back to your website to get the answers to my questions. Please keep up the good work as I now rely on you to keep me informed. I also very much appreciated the recent article directed at people like me who see the value in treating their HCV infection but are choosing to wait for more tolerable treatments. Due to late and long term effects from my leukemia cancer treatment in 1988, I am unfortunately unable to tolerate the standard HCV treatment of interferon and ribaviran. I discuss my concerns about the emerging relationship between Hepatitis C, insulin resistance and type 2 diabetes. I talk about my concerns having Hepatitis C and being diagnosed with fibromyalgia. I express my concerns about the research that indicates that I may be at increased risk for developing liver cancer because I have type 2 diabetes, fatty liver and genotype 1b HCV. I try to discuss a journal article about leukemia patients who contracted HCV through blood transfusions during cancer treatment. The study showed that leukemia survivors had higher viral loads at 20 years when compared to other groups of patients with HCV. These are some of the responses I have heard from hepatologists: "That is not true." "They are not related." "I haven't heard that." "Higher viral loads don't mean anything." and "The research has not shown a cause and effect relationship." I am completely baffled by these responses. I imagine how I feel is similar to how the first persons who developed AIDS felt when confronted with a mysterious illness that the medical community had never seen and did not understand. I trust what the HCV Advocate has to say about HCV and I feel like these are the questions I should be asked my doctor based on my current HCV positive status. I admit that am worried that since my viral loads are high and I have type 2 diabetes my HCV is now more difficult to treat. In the end, I am worried that the treatment I am going to receive for HCV is a liver transplant instead of antiviral therapy. Most of all, I am perturbed that the hepatologists I have seen didn't address the concerns I have about my HCV infection. I don't just want to complain; I want to help make a difference. Are there some small ways I can help with your efforts to advocate on behalf people living with HCV? Thanks for asking for my feedback. I hope my comments are helpful.